Flea bites are red spots that are surrounded by red halos. They are annoying and uncomfortable because of the discomfort they cause. Fleas from cats and dogs will often bite below the knee, typically around the ankle area. You can also get flea bites on your forearm from holding or stroking an infected pet in your arms. Even if you don’t own a pet, your yard can be contaminated with fleas and you could end up with flea bites on your body. Many people are sensitive to flea bites and can develop hives. These hives will appear as small, red bumps on the affected area. In rare cases, some people get diseases from the bacteria and viruses that fleas transmit. Fleas are small in size. You won’t find one that is any larger then the tip of a pen. An adult flea is reddish-brown and about 2.5 mm. Fleas don’t have wings, but they can jump between hosts due to their six long legs. Flea bodies are thin and flat, which allows them to move quickly through an animal’s fur. Their bodies are covered in fur, which allows them to blend in with the host. Adult fleas have mouthparts, which is what they use to extract blood from the host. Flea bites will appear as tiny red dots. At times you may not even notice them. 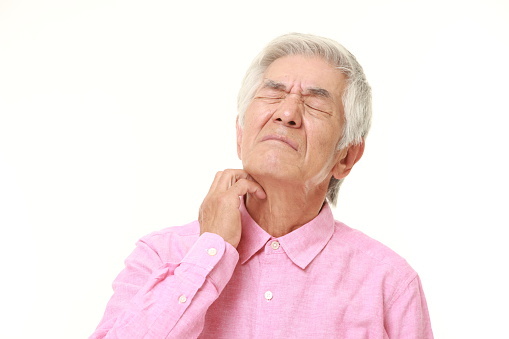 If a person scratches the affected area due to itchiness, the bites may become more visible. If you get an allergic reaction to the bites, you can experience redness and small bumps/pimples. Fleas rely on blood from animals in order to live. Female fleas rely on blood in order to reproduce. They need food two to three times every day. Female fleas only need to mate once in their lifetime in order to reproduce. If evolution has taught us anything about fleas, it’s that they can store 15 times more blood than their own weight. The short spikes they have on their legs allow them to stick to their host firmly. Once they penetrate the animal’s skin, they inject saliva. The saliva they inject is known to have more than 15 different substances in it that can cause severe allergic reactions. Are Fleas Dangerous to Humans Or Pets? Fleas are known to carry many different types of bacterial and viral diseases; however, flea bites on humans and pets are often not as harmful as other insect bites. Still, you need to be aware of allergic reactions and rashes and contact your doctor and veterinarian accordingly. For humans, the risk of getting other diseases from a flea bite is relatively small. The key is to try and avoid scratching the bites—the more you scratch, the higher your risk of developing an infection. Monitor the bites to make sure that there are no white blisters or rashes. To determine if you have a flea infestation, observe your pet’s behavior. If your pet is scratching excessively, you should examine their fur. Infested animals may experience skin redness (i.e. on the abdomen) and hair loss. If you spot insects moving between the hairs of your pet, or if red and black droppings are present on your pet’s skin, contact your veterinarian immediately and discuss flea treatment options. Discovering that your pet has fleas is just the beginning. Eggs, pupae, and larvae can still live on within your yard or house—and these may be difficult to see. If you have identified the infestation, thoroughly clean your home and treat your pet with vet-recommended flea medication. All linens and pet beds should also be washed. Contact a pest control expert to discuss possible extermination options. Finally, How Are Flea Bites Treated? Try the following natural home remedies to relieve the symptoms of flea bites. If one of these methods does not work for you, don’t get discouraged, try the next one. People react differently to flea bites, the same goes with treatments. 1. The first step is to stop scratching your bites. The more you scratch, the quicker the bacteria can enter your bloodstream. 2. Apply a soothing, anti-itch cream or lotion to the affected area to help relieve itching. This will help reduce swelling and decrease the chances of it becoming infected. 3. If an anti-itch cream doesn’t work, contact your doctor about taking antihistamine medication. 4. To soothe the itching and prevent swelling on the inflamed area, wash the affected area with warm water and apply an icepack. If you feel that your pet has fleas, contact your veterinarian for a proper diagnosis. This is not a situation you want left untreated. The longer you wait, the quicker the fleas can spread and reproduce. Finally, contact your doctor or veterinarian if you have further questions regarding treatments for you or your pet. Olesen, J., “Flea Bites on Humans – Pictures, Treatment & Prevention,” FleaBites.net; http://www.fleabites.net/, last accessed August 31, 2015. Holland, K., “Is It a Flea Bite? : Symptoms and Treatments,” Healthline web site, September 26, 2013; http://www.healthline.com/health-slideshow/flea-bites#1. “What do fleas look like?” Orkin web site; http://www.orkin.com/other/fleas/what-do-fleas-look-like/, last accessed August 31, 2015. “Flea Bites,” Orkin web site; http://www.orkin.com/other/fleas/flea-bites/, last accessed August 31, 2015. “Signs of a Flea Infestation,” Orkin web site; http://www.orkin.com/other/fleas/signs-of-a-flea-infestation/, last accessed August 31, 2015.